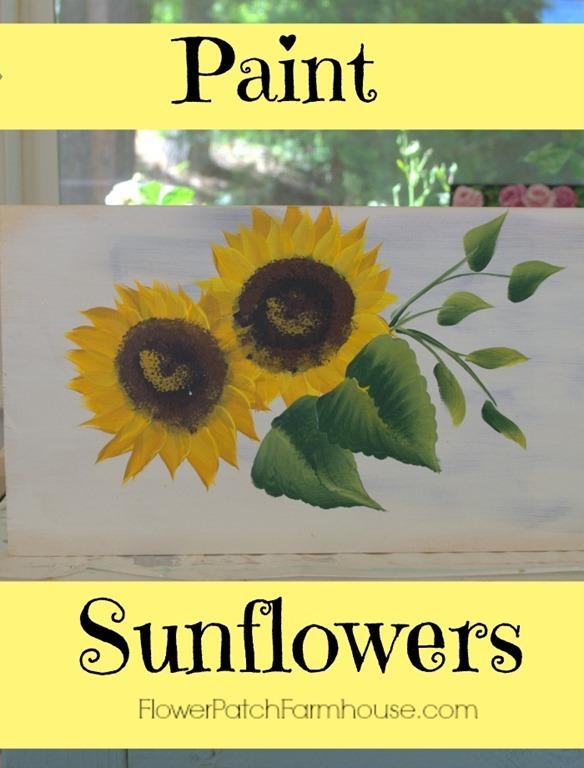 How to Paint Sunflowers for Beginners is an easy stroke by stroke lesson to get you started on painting these sunny summer flowers. Great for decorating greeting cards, hand made gifts or even gift wrap. 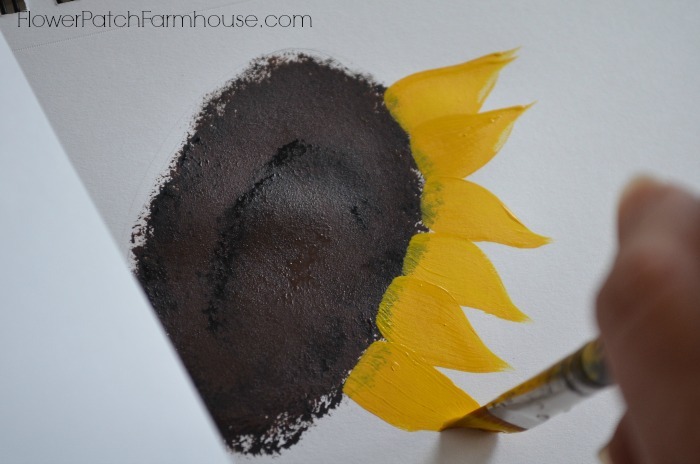 Learning how to paint sunflowers for beginners is not only easy but it is really so much fun! 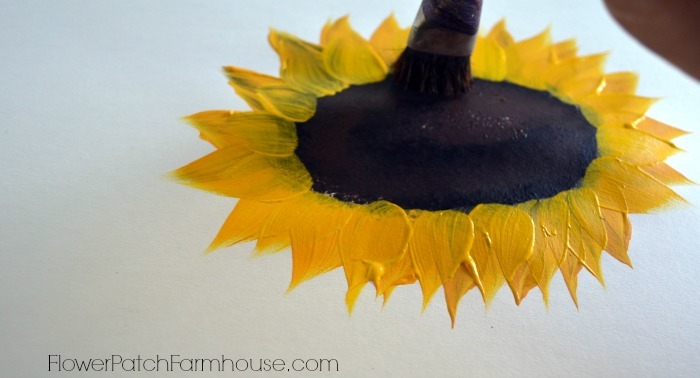 This step by step painting tutorial is easy enough to do with the kids. Never will two people paint exactly the same and the uniqueness of everyone’s style is what makes art so wonderful. Remember when you paint with me we aren’t going for realism, but we are giving an impression of something. The brain takes over. So stop trying to be perfect at painting, especially at first. In this demo and in my fabric painting tutorial I use a scruffy brush to pounce in the center but you can also stroke paint an center. I will share that in another tutorial or design for you. First you can draw a circle or oval shape if it helps. Many times I just start pouncing the double loaded scruffy brush around in a circle shape. 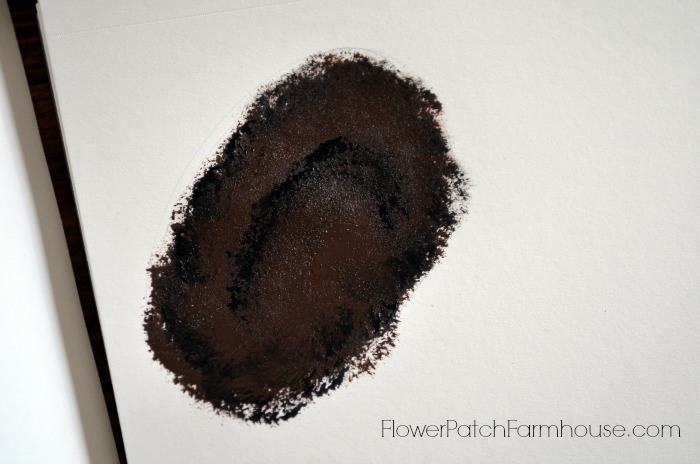 I use a dark brown (burnt umber) and a black in the demo but if you look at actual sunflowers they come in a range of colors. So go with the colors of what you are painting just be sure the two colors have good contrast. It helps me to find photos to mimic them. I am using bottled craft acrylics here. Keep the brush in one position, not twisting and turning so you can see a definite form taking shape with the two colors. 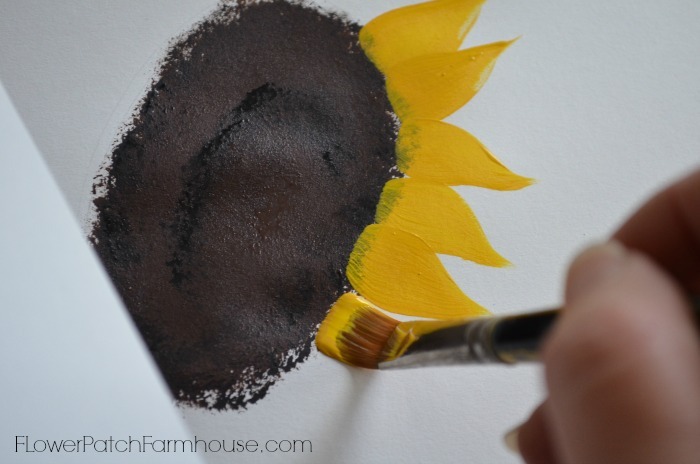 Next you need to double load a flat brush (size of brush depends on the size of your sunflower, in this demo I used a #12 flat brush) with a yellow ochre or a darker gold color and a medium yellow. 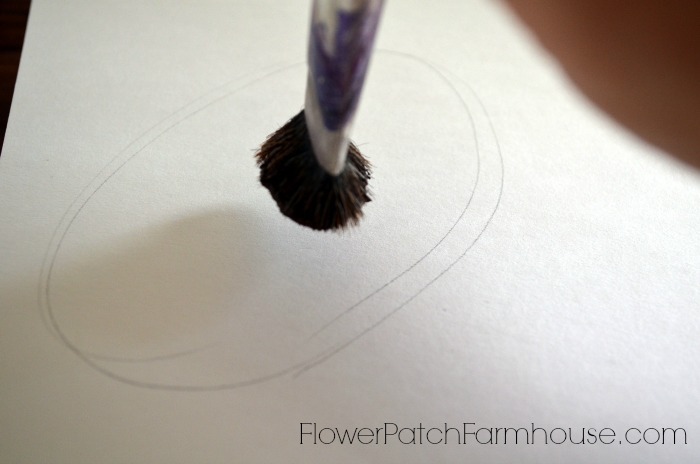 Line up the chisel edge to your center, press, drag and let spring to a point as you turn the brush to the side. You get a better idea when watching the video linked at the end of this post. Keep going around the center until you have petals all the way around. You can do another layer of petals if you wish, that is shown in the video, these photos only show a single layer. just double load your scruffy again and tap over the base of the petals. And voila’! You have a sunflower. 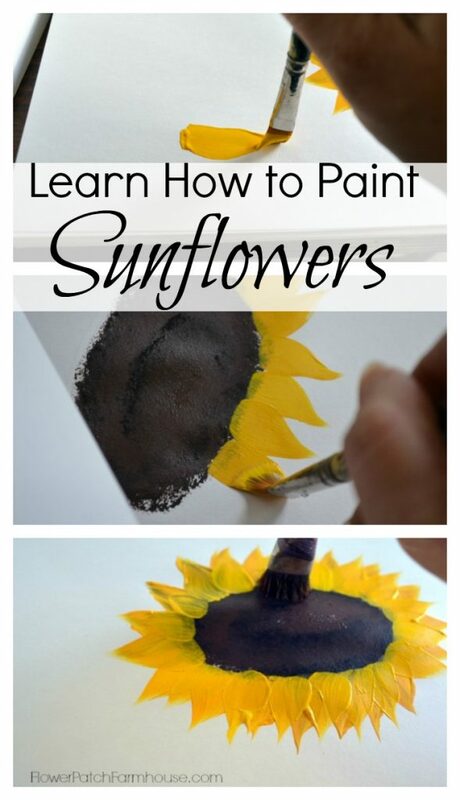 Go ahead and watch the video and I also demonstrate painting the leaves. I kind of got off camera when painting the smaller leaves but they are basically the same as a petal. I have a whole new workshop that has both Sunflowers and Delphiniums! 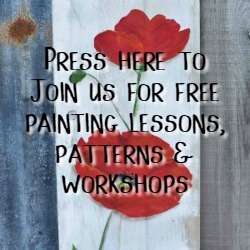 Easy video lessons that take you step by step through the painting with a downloadable pattern & supply list. So go and paint some sunshine! I want to try this! Thinking of making one large flower on our wooden kitchen table. Would it be possible to buy a flat brush that big? Shall I use acrylics? Put a top gloss over it? Sorry for the delayed response, I have been on the road for a couple weeks. You can certainly try with a larger brush and it should work. Practice on some scrap wood first and see how it goes. I think it would look great on a kitchen table. Yes I would put a top coat of varathane on it. I like the Rustoleum Exterior water base Spar Urethane the best so far. Or rather I should say I have used it the most and love how it does not yellow over time. I am sure there are many others that work well too. Acrylic paints would work just fine. I’m so thankful I ran across this.Thank you. !! I will be trying this tommarow. 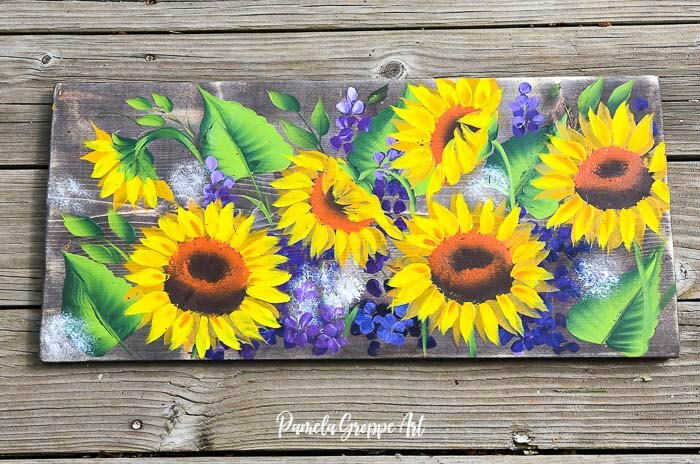 Hi Pamela, I Had a go at the sunflowers. Not bad, but petals wasn’t pointed like yours. Also couldn’t get the petals right. Not sure if it was my brushes . I just have cheap ones!! AS I have only just started canvas painting. Have you any tips for me? Thanks Sue. 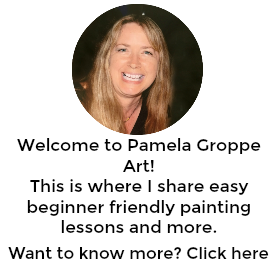 Hi Sue. The one thing I can say is good brushes are essential. The Donna Dewberry ones I link to are fairly reasonable in price and work great. I tried some a Michaels that did pretty good too but I will have to get back to you on them, I am out of town for my anniversary trip and don’t remember the name of them. When I get home I will find the package so I can tell you what they are called. Just email to remind me if I forget, I get distracted and forget things easily. Hi Pamela, just a reminder that you was going to let me know the name of the brushes that you mentioned. I have had a look but cannot find a scruffy brush. I live in NZ. Would a flat brush work? 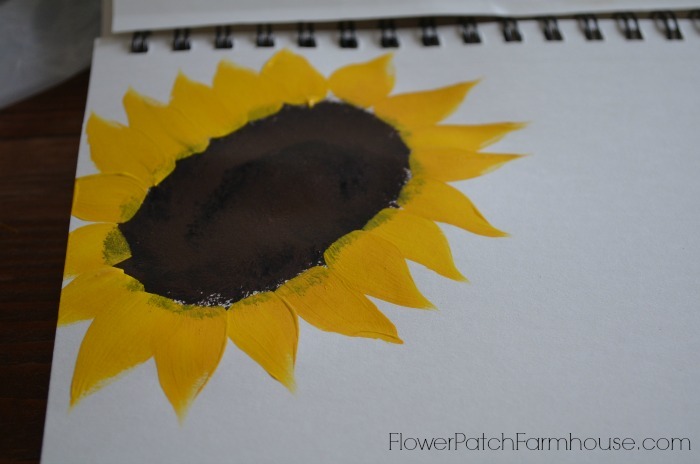 As I am definitely going to have a go at the sunflowers once I get the right brushes. Sue.